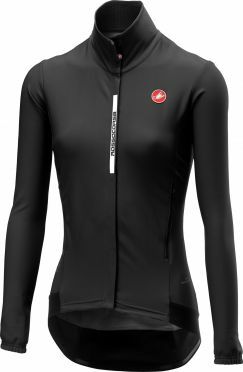 This Castelli Perfetto W long sleeve cycling jacket black women is the replacing model of the well-known gabba 2. The idea of the Perfetto is to keep you comfortable in the cold and wet conditions without the boil in the bag feeling and with no billowing in the wind normally associated with race capes. This jacket is made of gore windstopper X-Lite plus fabric which keep you dry and warm in cold raining days. Tip: keep in mind that the Castelli clothing fits smaller than normal. 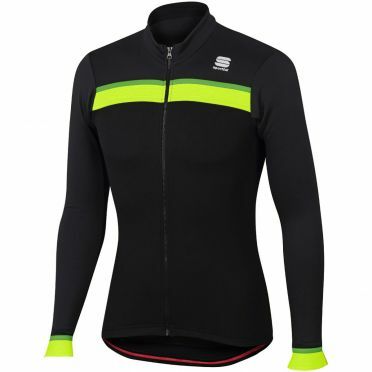 This Sportful Pista thermal jersey black/anthracite men is ideal for cycling in the autumn and spring. This long sleeve thermal jersey has a BodyFit pro construction that ensures a perfect fit, identical to the Tinkoff Team. Thanks to the TDTxp body this jersey has extra core warmth and a great moisture management. On the back side 3 high-capacity rear pockets to store small equipment and something to eat. Tip: keep in mind that the Sportful clothing fits smaller than normal.